Indeed one of the foremost gardens of the age was located where it was in order to escape the influence of the Roman Catholic church and its educational institutions. The Jardin des Plantes (Figure 3) in Paris was chartered in 1626 by Louis XIII on land a short way outside the wall encircling the city which put it beyond the reach of the Universite de Paris and its Faculte de medecine. For the next 150 years during the high tide of French exploration and colonization and throughout the French Enlightenment, Paris's botanic garden was the world's main center for plant collection and study as well as home to sometimes audacious research into other aspects of the natural world. 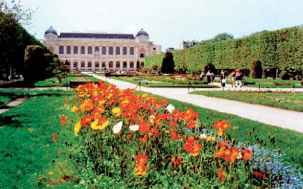 Figure 3 The Jardin des plantes of the Muséum de l'histoire naturelle is now surrounded by Paris, but when it was opened in the seventeenth century it was outside the city's walls. Photograph by M. Soderstrom. the Jardim Botanico of the University of Coimbra dates its roots to 1775. The small botanic garden which was to become the Royal Botanical Gardens at Kew was started a few years before them as the pet project of Frederick, Prince of Wales, and his wife on the royal country estates upstream from London on the Thames. Frederick's son, George III, expanded the garden and saw to it that British explorers under the aegis of Sir Joseph Banks were given mandates to bring back plants for the Royal Gardens.